Get used to it, friends. Because this baby, designed by Ian Mahaffy and Maarten De Greeve (Bettlelab) from Copenhagen, Denmark, is going to be as ubiquitous as, well, all the old bike racks around town have been. It was picked from a competition that attracted over 200 entrants from around the world. 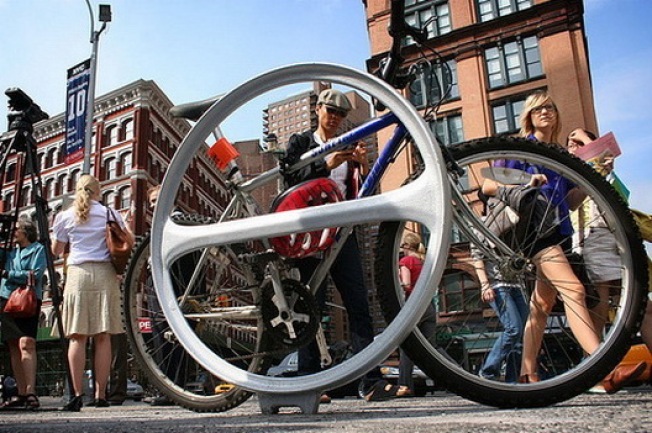 Ten prototypes were installed and tested at Astor Place starting on September 30. Good, bad or indifferent, these will be everywhere.